The problem is that in the country where the most aggressive experiment in neoliberal social engineering was met with the most massive, almost insurrectionary sequence of struggles, where the political crisis was the closest to a crisis of hegemony Western Europe has seen since the ‘Fall of the dictatorships’, where a relatively small left-wing party was catapulted to power, where a defiant people refused the blackmail of the European Union in the July 5 referendum, Syriza has accepted neoliberal reforms that would make even the infamous ‘Chicago boys’ blush, from an overhaul of the pension system to privatizations and mass foreclosures and evictions, after winning an election where the rest of the Left failed to challenge the left-wing version of ‘there is no alternative’ that set the tone of the electoral debate. Was there another road possible for Greece? Or should we accept the premise that a small country in the European South was not in a position to answer the blackmail of the EU? I strongly disagree. The moment of the referendum was optimal for a strategy of rupture: end of negotiations, stoppage to debt payments, nationalization of the banking system, beginning of the process of a return to national currency, as the starting point for a broader process of transformation. The obvious initial difficulties, arguably not much greater than what we are facing now in Greece and surely lesser that the ones we are going to face in the years to come, could be dealt with by the tremendous political potential of the referendum result and the degree of popular mobilization and international solidarity. However, there was no preparation from the part of Syriza leadership even to think the possibility of a strategy of ruptures, leading to a series of disastrous concessions and compromises, even before the January 2015 election. This absence of preparation for any eventuality other than compromise within the Eurozone was not the result of a lack of time. Rather, it was the result of the conscious choice that a rupture was impossible, choice that came as a combination of a compulsive Europeanism along with the attempt to build alliances with segments of the Greek bourgeoisie. Is This the end of the Story? I suggest we oppose this temptation. The economic crisis and the crisis of the failed project of European Integration with its authoritarian disciplinary neoliberalism continue to fuel a social crisis without precedent in the European South. The political crisis, as detachment of the subaltern classes from the party system, as inability of the capitalist classes to articulate a hegemonic project other than the logic of the ‘special economic zone’, and as potential crisis of the state as a result of the EU induced limited sovereignty, is still a determining aspect and the current ‘static equilibrium’ as a result of the Syriza victory is far from stable. However, this does not mean that we should expect mass social explosions or a rapid collapse of Syriza as a new opportunity for the radical Left to take the initiative. Indeed, Syriza will face sooner or later its own ‘winter of discontent’. However, the entire cycle of mass mobilization in 2010-12, then expectation of an electoral breakthrough, then patience in face of the first compromises, then collective defiance at the referendum, then the feeling of desperation and defeat after the capitulation, then having to choose between abstention or the lesser evil and now watching the government implement one reform after the other, has had a disintegrating effect and has led to a growing disbelief in the possibility of alternatives. So we need to reflect upon the open questions facing us, and to reopen the debate on strategy. First, there was more fantasy than reality in conception of a progressive governance, that will put an end to austerity, restore growth and mild redistribution, re-instate working class rights, without challenging a country’s inclusion into processes of capitalist internationalization and integration such as the European Union and without confronting banks and corporations, accustomed to wage deflation, flexible labour, and pillage of public assets. The Greek case tragically exemplifies that this is impossible within the Eurozone. There can be no ‘change from within’ of the EU. ‘Europeanism’ is the royal road to disaster for the European Left. At the same time, it is not enough to just think about a progressive government that will proceed with a stoppage to debt payments, exit the Eurozone and implement an aggressive increase to public spending. A breath of sanity in comparison to the illusions about progressive governance inside the Eurozone, nevertheless it can work much better in countries with strong export sectors and an opening to global markets such as Argentina. In countries that have been subjected to the pervasive restructuring and de-industrialization the European integration induces, it could reach an impasse, unless it rapidly transforms into an alternative growth paradigm in a socialist direction. Moreover, even in the most advanced examples of radical left governance in Latin America we have seen certain limits: the dependence on an extractivist economy; the contradictory co-existence of increased social protection with international competitiveness; the conflicts caused by the attempt to integrate in the State the terrain of autonomous movements. Now, can the anti-politics of insurrection, or the celebration of the riot, be the antidote to this? From Alain Badiou to the interventions of the Invisible Committee, there has been an emphasis on the return of mass politics in the streets, the violent confrontation with the police, the direct re-appropriation of the commons. Here strategy is replaced by the desire to prolong the ‘moment’ of the mass riot. Unfortunately, historical experience shows both the catalytic and indispensable aspect of the insurrectionary sequence and the difficulty to initiate a process of transformation afterwards: mass civil unrest can lead to a regime crisis, but then the question is what comes next. Nor is the answer the imaginary ‘October’ of a supposedly Leninist insurrectionary sequence, which is the definition many tendencies of the anticapitalist Left propose for a revolution for which conditions are never ripe enough. Here, strategy is replaced by an anti-capitalist verbalism that feels more comfortable with failure, since this justifies the position that from the beginning it was determined that nothing could change. Of course, enumerating problems is not a substitute for an answer to open questions. This can only be a collective process of reflection and self-criticism. However, we can discuss some starting points for a rethinking of revolutionary strategy today. First point: Popular sovereignty is important. The European experience shows that today reduced and limited sovereignty is a basic mechanism for the imposition of austerity and the erosion of democracy. As Jean-Claude Juncker has said ‘there can be no democratic choice against the European treaties.’ The same can goes for the exposure of national banking systems to the international money markets and the series of Treaties aiming at safeguarding investments against environmental concerns or labour rights. Sovereignty as recuperation of a democratic control against the systemic violence of internationalised capital becomes a class issue and the basis of a new internationalism based at ‘breaking links from the chain’ and setting examples for movements in other countries. We all know the possible associations of sovereignty with nationalism, racism and colonialism. However, here we are talking about a form of sovereignty that is based upon the common condition of the subaltern classes. It is an attempt to rethink both the people and the nation in a ‘post-national’ and post-colonial way as the emerging community of all the persons that work, struggle and hope on a particular territory, as the emergence of a potential historical bloc for socialist transformation, what Gramsci referred to when he talked about the “Modern Prince […] creating the terrain for a subsequent development of the national-popular collective will toward the realization of a superior, total form of modern civilization.” Similarly, Deleuze’s notion of the becoming-people points to the fact that the ‘people’ is not a preconstituted entity or ‘majority’ but the result of a complex and overdetermined process of struggles. Such a recuperation of popular sovereignty also requires an elaborated anticapitalist narrative not just an aggregation of anti-austerity demands. However indispensable a ‘left-Keynesian’ macroeconomic condition is, in the form of reclaiming monetary sovereignty and increasing public spending, it is not enough. We must think of ‘productive reconstruction’ not as ‘return to growth’ but as a process of transformation and intense confrontation with capital, based upon public ownership, self-management, and forms of workers control. It has to be a process of experimentation and learning. Contemporary forms of solidarity, of self-management, of alternative non-commercial networks of distribution, of open access to services, the discussions on how to use the public sector or how to run public utilities are not only ways to deal with urgent social problems. They are also experimental test sites for alternative forms of production and social organization, based upon the ‘traces of communism’ and collective inventiveness and ingenuity in contemporary resistances and everyday gestures of solidarity – something exemplified in the myriad acts of solidarity in Greece now during the refugee crisis. What about the state, since we know that not only is the state not identified with government, but also that every attempt to ‘simply use’ it will confront the internalization of the prerogatives of capital and the international markets. The state is indeed the condensation of a relation of class forces, as Poulantzas has stressed, but it is a material condensation not a contingent articulation, producing strategies, knowledges, and discourses, as Foucault has stressed. From the justice system to the forces of order and para-state of intelligence, to enclaves fully controlled by the EU or big business, there are mechanisms that can counter-attack and cannot be just ‘used’ to a better purpose. We need a fresh conceptualization that combines the question of government with something close to a permanent dual power strategy. Dual power in this reading is not a question of catastrophic equilibrium and antagonistic coexistence of two competing state forms. Rather, it refers to the new forms of popular power, self-management, worker’s control, solidarity and coordination that are resisting the counterattacks of state apparatuses and capital even after the arrival of the left to government. A war of position is necessary both before and after the seizure of power, as a continuous process of struggles, collective experimentation, forms of power from below, new social configurations, along with deep institutional changes, in the form of a Constituent Process. In this reading dual power is not only about worker’s councils or soviets. It is also about self-managed enterprises, and solidarity clinics and popular assemblies. It is about looking carefully at the new forms of organization that have emerged in movements like 15M or the ‘Squares’ as collective political forms that in certain aspects transcend the social/political division. In such a perspective there is no ‘moment’ of passage from ‘radical governance’ to ‘socialist transformation’, only an uneven and contradictory process that will face counter attacks and perhaps also what Georges Labica called the ‘impossibility of ‘non-violence’. This means that we also face what it means ‘doing politics’. A great part of the contemporary European Left is immersed in traditional bourgeois practice of politics, based upon the dichotomy between parliamentary or ‘national’ politics and everyday struggles, along with the professionalization of politics. We need a new practice of politics. Any attempt toward radical transformation must base itself upon the short-circuit between politics and economics that Etienne Balibar suggests is at the heart of the Marxian project, treating the economy as terrain of political intervention and experimentation, insisting that movements representing the working classes have a say in politics, initiating novel forms of democracy from below. This also includes what Lenin described as a cultural revolution, or Gramsci as ethico-political reform, the emergence of new forms of mass political intellectuality and a new collective ethos of participation. Again, we can start by the formative and learning experiences in the movements, the ways they have facilitated the emergence of new forms of thinking and new ethics of solidarity and resistance. At the same time, we are facing the crisis of the traditional model of the revolutionary organization and the crisis of the model of the broad front and party that could act as the meeting point of various movements and political tendencies. 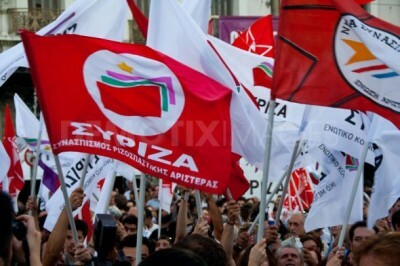 The example of Syriza is emblematic. I am not referring only to the political turn toward austerity and capitalist restructuring. I am referring also to how gradually Syriza stopped being democratic and how in the name of going toward a more unified party the leading group was detached from the rest of the party. Rebuilding the United Front cannot be a repetition. Nor can it be simply a regroupment. We need an ‘epistemological break’ in our thinking of both the front and party. The Modern Prince can only be the result of a process of recomposition and profound transformation, learning also from the experiences of political self-organization in contemporary movements. We have to learn from our mistakes and be profoundly self-critical avoiding all forms of arrogant know-all mentality, bureaucratic thinking, and theoretical laziness. So far, we have failed to create the kind of laboratory of a new politics that was needed, that kind of democratic political process, non-sectarian dialogue, collective experimentation, creative militancy. Regarding the Greek case, we can see the beginning of the problem in the inability of the forces of the Left that realised the necessity of rupture regarding debt and the Eurozone, to initiate in 2010-11 a process of a new front incorporating the new forms of organization emerging from the movement. We must confront this task of recomposition, transformation and experimentation because otherwise the elements, practices, experiences that could be part of potential new historical block will remain dispersed and disintegrated. Antonio Gramsci has always insisted that historical changes take the form also of molecular changes. The notion of the ‘molecular’ refers to the multifarious, complex, over-determined, non-teleological and non-deterministic character of historical process. This means that any process of recomposition of the radical Left must be attentive to this molecular aspect. New forms of movement organization, especially in relation to social strata that lack any form of representation (unemployed, precarious etc), new democratic practices in movements, forms of political self-organization, new forms of coordination and solidarity, expanding the experimentation with forms of self-management, creating alternatives forms of (counter)information, organizing new forms of militant research are more urgent than ever. They also enable us to rethink political organization under this prism of a necessary molecular recomposition, of collective democratic processes for the elaboration of alternatives, of a collective new practice of politics. Communist or revolutionary politics are in the last instance about subterranean currents that came to the surface only in critical moments, because they are dispersed, fragmented, ruptured, the results of encounters that did not last. The challenge is exactly to have the ‘slow impatience’ to learn from defeat, to regroup, to experiment, to rethink all aspects of the conjuncture, from the molecular to the ‘integral’, to ‘organize good encounters’ (Deleuze) and bring these subterranean currents to the surface. The tragic defeat of the Greek Left, opens a period of necessary self-criticism, reflexion and experimentation with new forms of political fronts, organizations and coordination along with all the necessary effort to rebuild the resistance to the new wave of neoliberal reforms, fight collective despair and resignation and bring back confidence to the ability to change things. It is will not be easy and it will be like trying to build a ship when you are already out in rough sea. However, it is the only way to continue to say NO. No to pessimism, no to surrender, no to defeat. Panagiotis Sotiris teaches social theory and social and political philosophy at the Department of Sociology of the University of the Aegean. This text is based on his presentation at the Historical Materialism Conference in London (5-8 November 2015), and first published at salvage.zone. 1. Antonio Gramsci, Selections from Prison Notebooks , edited and translated by Quentin Hoare and Geoffrey Nowell Smith, London: Lawrence and Wishart, 1971, pp. 132-33. 2. Antonio Gramsci, Further Selections from the Prison Notebooks , edited and translated by D. Boothman, London: Lawrence and Wishart, 1996, p. lxxxvi.